Announcement Due to a short trip, all orders for period April, 19-26 (including orders with Express delivery) will be shipped after April, 29-30. If you have any questions, please contact me. I will try to respond as soon as possible. Due to a short trip, all orders for period April, 19-26 (including orders with Express delivery) will be shipped after April, 29-30. After wearing it only a few times, it doesn’t stay tight at all and constantly falls off. It's a shop of things that are comfortable to wear every day. Universal in style, they will harmoniously complement both the strict office dress code, and a romantic dress for an evening cocktail. Due to a short trip, all orders for period 19-26 April 2019 will be shipped after 29-30 April 2019. The package will be considered lost if you have not received it in time + 2 weeks above. Order placed en (pre)Christmas period (Nov. 15 - Dec. 31) will be considered lost if you did not receive it before February 5. Problems with lost orders due to post services are solved individually. I can’t just be responsible for the work of mailing services, but I always try to find the best solution to the problems. !!! - All damaged items broken during the transfer process must be reported within TWO days - !!! - Corresponding photo must be attached !!! The photo should be of good quality, which shows ALL the details of the breakdown. If you receive a damaged product, please contact me. I will replace it for a similar item or an item of equal value. I use high-quality materials and test all new models. Each model is tested for durability and comfort. In case of defects please contact me. Please attach the high-quality corresponding photos and a short description of what is happening. This will help me to keep the high quality of items. The warranty on all products - 1 month from the date of receipt. Usually, this period is sufficient to find any hidden defects. Products with defects of my fault will be replaced by a similar. Non-perfects inherent in natural materials do not belong to defects and it's not the reason for a refund. If for some reason you find that your purchase is not satisfactory, contact me and we can work things out. 1. In general, I do not refund the money, but I re-send the order again. 2. I don't refund orders shipped without tracking number ('Standart shipping'). In this case, only resending the order is available. 2. In case I can't send a similar order, I refund the money. Examples: OOAK items, Absence or impossibility to purchase the necessary materials, etc. 3. For lost-by-mail orders sent with a tracking code, a refund can be made ONLY AFTER receiving an official response from the mail service about the delivery/loss of the order. This may take up to two months from the date of the complaint. If your order was shipped in time, the failure to receive an order by a certain date is not the reason for a refund. 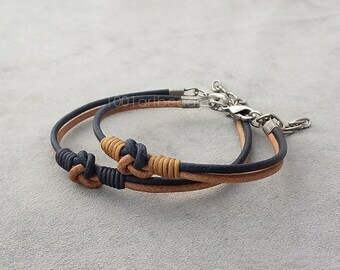 I do not accept exchanges due to wrong size (necklaces, bracelets), because I never send the returned item to another buyer. If you order a wrong size please contact me and we will find a solution. If you are not happy with a product, you can return it. Refunds/returns do not include return shipping costs. You will be responsible for all return shipping charges. Also, you are responsible in case of loss or damage to the package by mail during delivery. I can not send you a prepaid shipping label. If you wish to return an item owing to your personal reasons, you may do so within 14 days of receipt of the item. The item must be returned in undamaged and unused condition, to include original and undamaged labels, and in its original packaging. The unused condition is described as: not worn or used; no signs of wear, scratches, marks, stains or odors (i.e. Perfume, etc. ); no damage to labels. I accept PayPal and Direct Checkout payments (Visa, MasterCard etc.) including Etsy Gift Cards. I ship paid orders only. If your order has not been shipped yet and you want to cancel it after 24 hours, I will withhold 30% of the item's value (without shipping) as compensation for the work and the materials used. After the refund of the amount indicated, your order will be marked as shipped. If you are in European Union, there will be a VAT added. You can check the total price by adding the item into your cart. For EU CUSTOMERS VAT is added to the shipping fee. Currently for EU customers, VAT of item is included in shipping fee, since Etsy do not charge VAT separately anymore. Handling cost is included in the shipping costs. All current announcements are posted in 'Shop Announcement' section (Promotions, discounts, delays with shipment etc.). - Deadline for all CHRISTMAS GIFTS for AMERICA, Canada, Australia, etc.- NOVEMBER, 27-28, 2018. Urgent shipping by DHL is the only reliable way to get your order on time. I do not guarantee delivery of your order on time if you choose "Standard delivery" option during purchase. Enjoy your shopping and Merry Christmas! DHL Express delivery is the only guaranteed way to deliver your order to a specific date. If you choose 'Standart shipping' or 'Registered' option, please order the gifts needed by a certain date at least 5 weeks before. 1) 'Standard shipping': Shipment from Barcelona by CORREOS ordinary mail service - WITHOUT tracking, WITHOUT guaranteed delivery for a certain date. This method not valid for the delivery addresses of the offices, student hostels, universities, hotels, etc. In this case please choose 'Registered shipping'. Please take into consideration: if you chose the 'Standard shipping' option, you agree to share with me the risks in the case of loss or damage to your order (please see 'Refunds'). NOTE: 'Free shipping' option equated to 'Standard shipping'. 2) 'Registered shipping' mail option (shipment by CORREOS mail service with a tracking code*, but WITHOUT guarantee delivery for a certain date). This option is available during checkout as a shipping upgrade. *NOTE: in USA, Canada, Australia and some other countries Spanish tracking code is not tracked online (only by request at a post office). You will not be able to see the tracking updates after the order leaves Spain. Orders sent with tracking code are delivered personally and require the recipient's signature upon delivery. If you are not at home at the time of delivery, the package will be waiting for you at the post office. In this case, you are responsible for receiving the order in the post office. Some orders may be sent by registered mail with tracking code in my personal discretion without prior notice. If the shipment with tracking (personal delivery) is not acceptable to you, please specify it in the comment to the order. DHL Express delivery is the only guaranteed way to deliver your order on a specific date. Express DHL shipping is available during checkout as a shipping upgrade or by request (if shipping upgrade does not contain this option). 2) Express DHL delivery not supported for P.O. Boxes. Please provide your full address. Delivery time in the pre-Christmas period may increase by TWO WEEKS. So, NORMAL estimated delivery time to USA (for example) may be 4-5 weeks. Once your order has been paid, it will be shipped within 2-6 business days. For "made-to-order" items and Custom orders the time required for preparation is an individual and require 3-10 business days unless otherwise indicated. NOTE: All the terms indicated in the shop refer to the time of processing and preparation of your order. The shop does not specify the date you received the order in any form. The buyer is responsible for providing a correct and valid shipping address (due to Etsy's buyer's Policy). If you specified an incorrect address in the order, I do not take responsibility for the delivery of your order. !!! - If you find an error in the address, please contact me immediately - in some cases, the problem can be solved. Change of the delivery address for DHL shipping is possible only after paying an additional cost 12 euros. (I have to reserve DHL courier one day before shipping and I must pay DHL penalty for the changes of delivery address). Usually, I send a shipping notification during 24 hours of shipment. I never send a shipping notification in advance. The notifications are sent automatically to the address you specified when registering / purchasing. All items are packed in small plastic bags or paper boxes or other suitable methods for safekeeping items in transit. Low-cost and/or recycled materials can be used. By default, I don't use gift wrapping (I save your money and my time). I don't transfer any personal data to a third party. Exception: If you choose DHL shipping, your e-mail will be provided to DHL for notifications about your order. If you need an official invoice please leave me a note during checkout or contact by Etsy. In this case, the invoice will be enclosed in the package or sent to you as pdf. In general, I don't put printed invoices in packages to save paper usage. For items sent with tracking code, the information for customs is indicated on the envelope. All communications should take place by Etsy Conversation. I can not guarantee quick answers to your questions sent directly to the e-mail. Pearls. I use cultivated freshwater pearls. Pearls can have uneven shapes and colors, inherent in cultivated pearls. Metal findings. All metal can oxidize with time (lose color and shine), the original appearance can be restored by cleaning and polishing with a soft cloth. The process of oxidation of metals depends on the conditions of storage and use. Shells. Shells with time can change color slightly. All tutorials are available for download immediately after the payment. But if you have any problems, I can send you the files to the email address specified in your profile. Feel free to contact. Please note: All tutorials are not a refundable item. If you would like something custom made (including out-of-stock items or making something from scratch) contact me and I’ll see what I can do. For measuring the size of chokers I recommend to use a braid or cord. Attach it so that you feel comfortable and mark the matching points. Then measure the distance between the marked points (in inches or cm). When selecting the size, keep in mind that the elastic chokers can fit very close to the neck, and hard (leather or beaded) should be free. If in doubt, select a model with an extender chain. L (15"+3" extender) - this is a really large size. For some models I can propose reduced wholesale price. Please contact. Gift boxes are available by request. For models without extension chain please measure your wirst exactly. 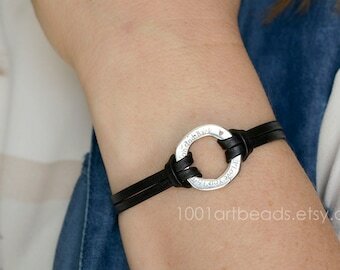 The real length of bracelet will be 0.75" longer. If you know the length of bracelet you need - please contact. I dont received my order!!! Fitst of all, keep calm :) In my experience, the orders are really lost very rarely. The signature on delivery is required for registered mail. If the moment of delivery you will not be at home, the package will be waiting for you at your post office (not at home). If your order was shipped 4 weeks ago, try asking at the post office. Perhaps the package waiting for you, and the post notice for some reason was lost. Sometimes delivery time may be 4-5 weeks. In my opinion, this is utterly disgraceful, but I can not speed up the work of the mail. Please see the 'Shop policy' for more detailed information.